Ta-da~!! 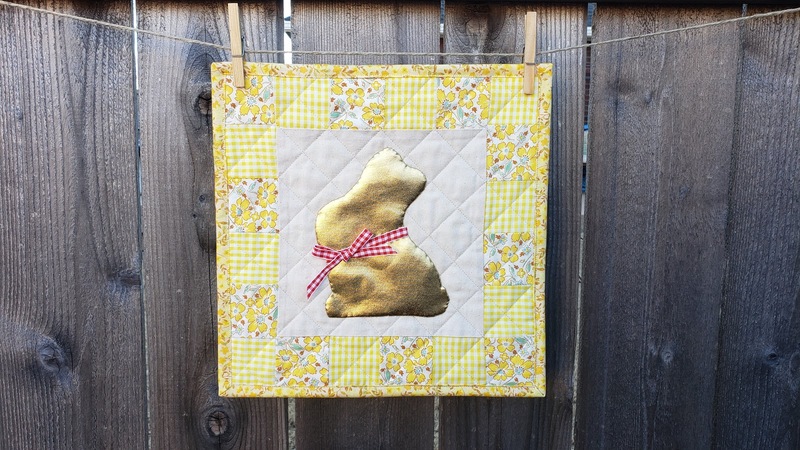 It's Golden Bunny Applique Quilt! When do you feel like "Spring is here"? 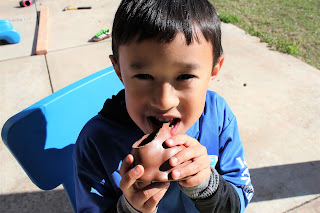 I love when flowers are starting blooming, grass getting greener, and also when Lindt's Golden Bunnys are lined up at the Easter section at stores! 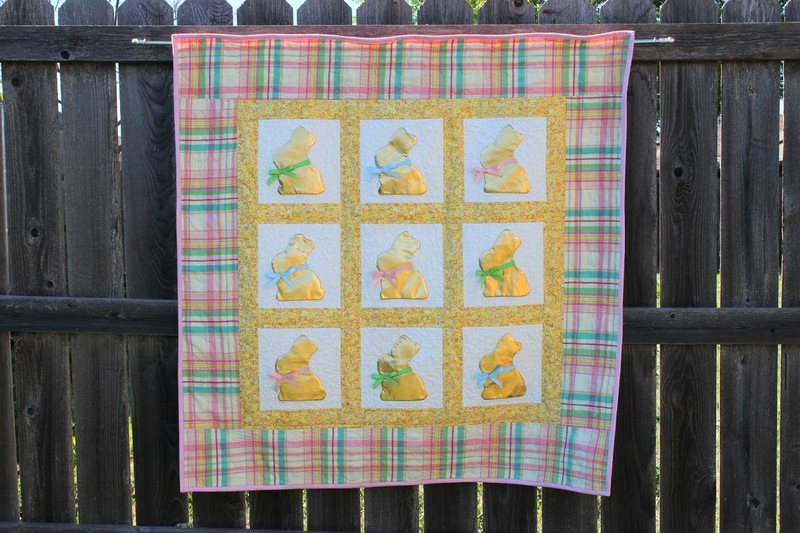 I love their cute round shape bunnies in classy goldren color wrap and they are so yummy!! 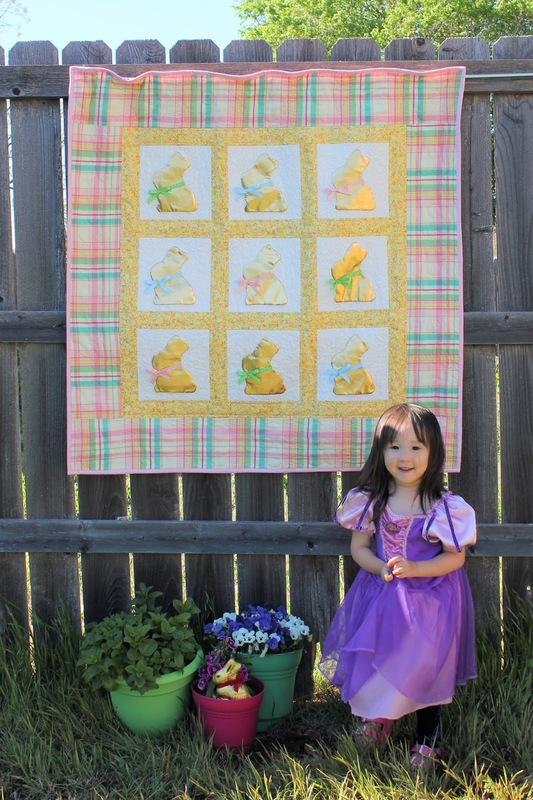 I wanted to make an another Easter quilt, and this one I wanted to enjoy all about pastel colors and bunnies, so here it is! 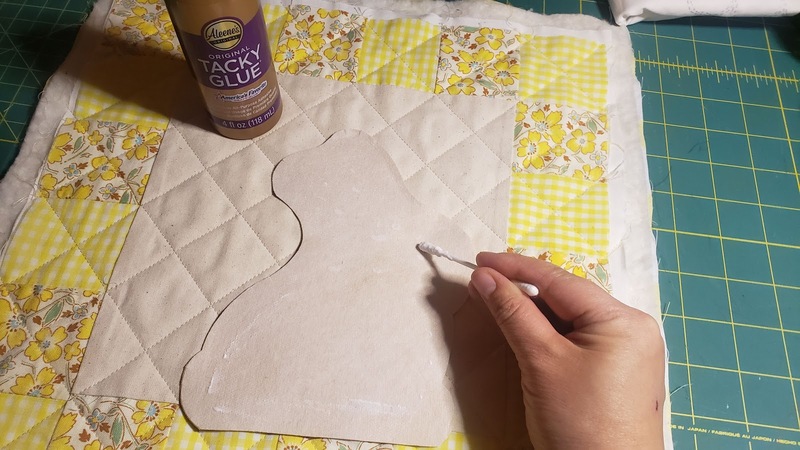 First I wanted to see how the applique will work, so I made this small wall quilt! 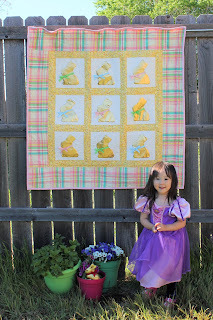 I thought it is pretty cute, I like it! I found this golden stretchy vinyl-like fabric at local Walmart's remnant section. Probably like $3 for a half yard. Very economic! 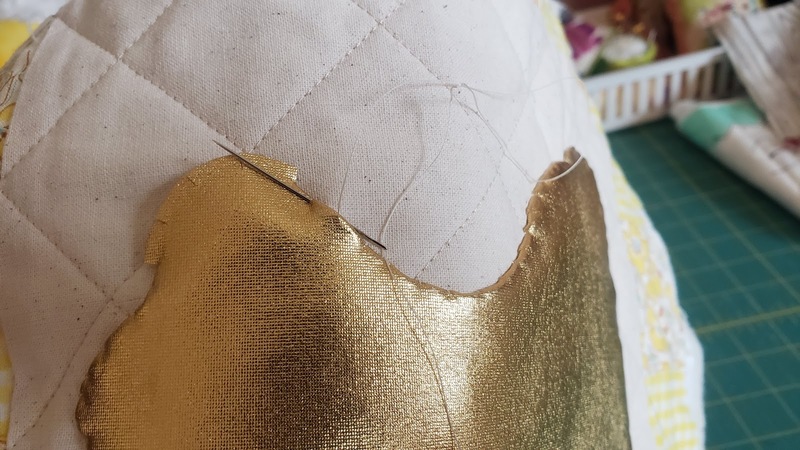 Before I cut out it in to a bunny shape, I put light interfacing on the back of the golden fabric, so it won't stretch too much while I'm working on appulique. I place the real Golden Bunny chocolate on the fabric, and traced around it on the freezing paper. (I can't find the picture, sorry!) 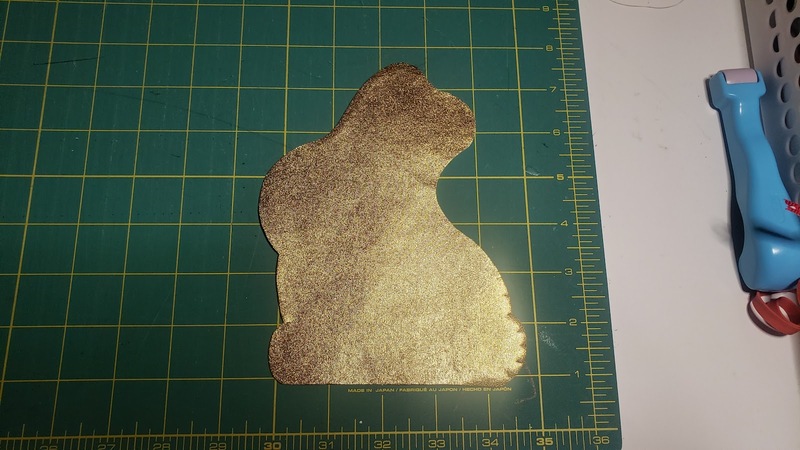 Using it as a template, I cut out the bunny shape from the golden fabric. Snipped along the curb around the bunny 1/4" each or so. 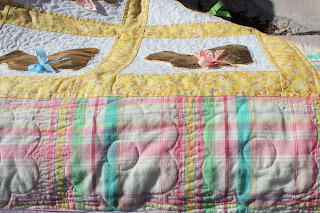 I put Tacky Glue on the back of bunny, and place on the tops which it's already quilted. Then start applique on the quilt. 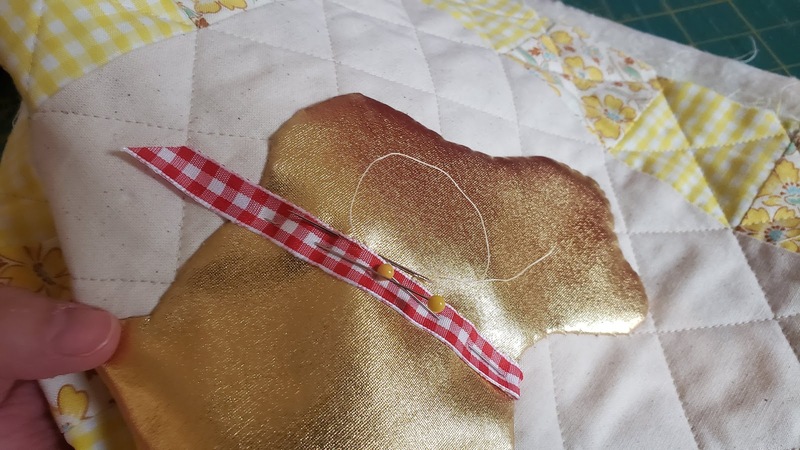 Adding a ribbon around bunny's neck. 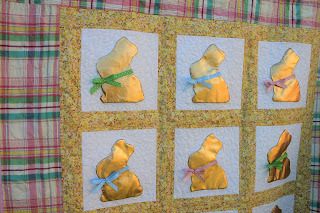 For the 9 panel-quilt, I used the same template I made at the beginning. 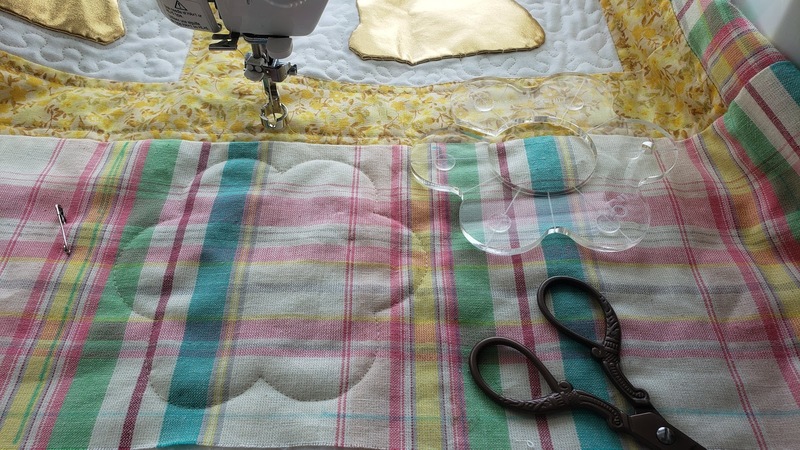 In th esame method, this time I made the quilt top. 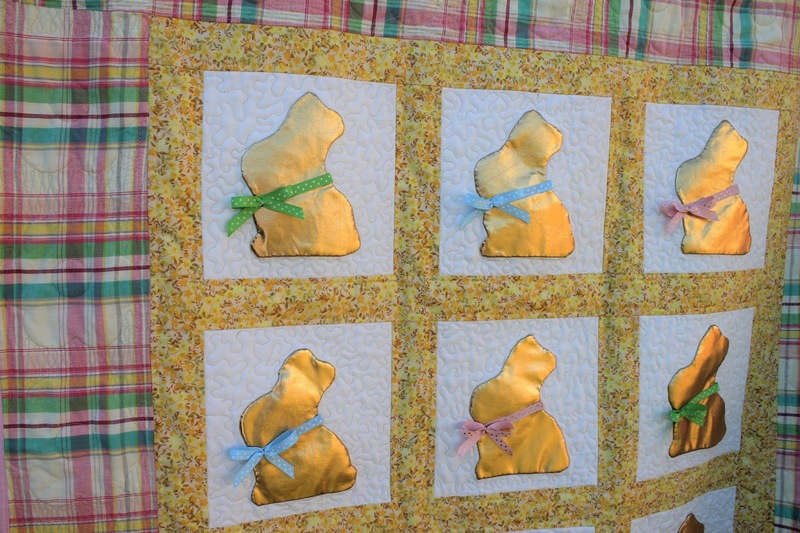 Panels with bunnies, then pieced them together with sashing. 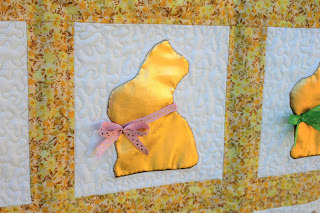 I did stippling quilt around the bunny. I used this cute daisy flower template from Silesian Quilt. And I LOVE how these daisies turned out on the outer boarder!! 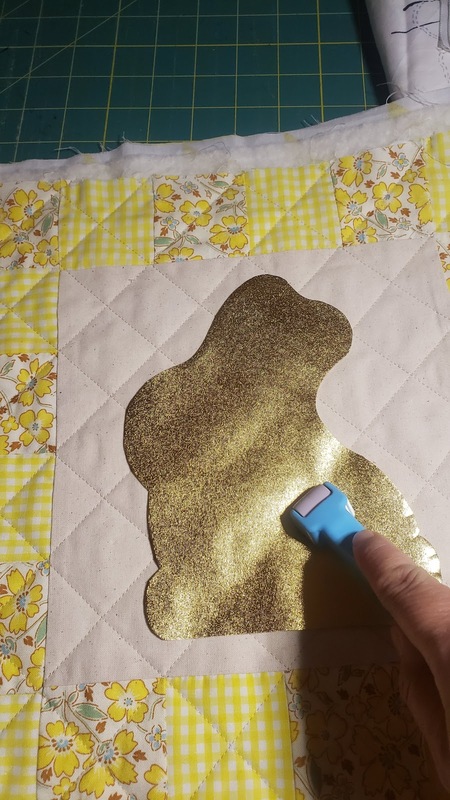 I usually use cloth pins to hand the quilt at backyard, but it was too heavy and the win?d were so strong, they didn't hold the quilt enough. 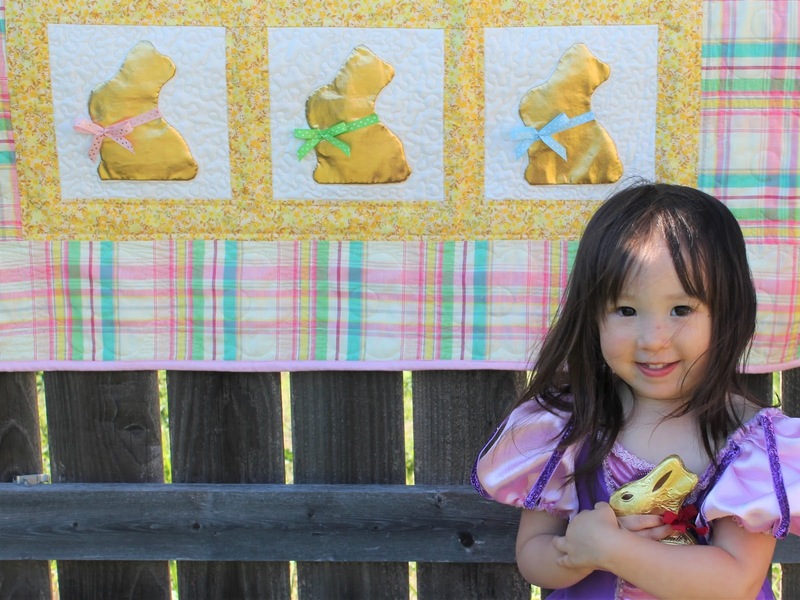 Of course our daughter joins to the picture time! 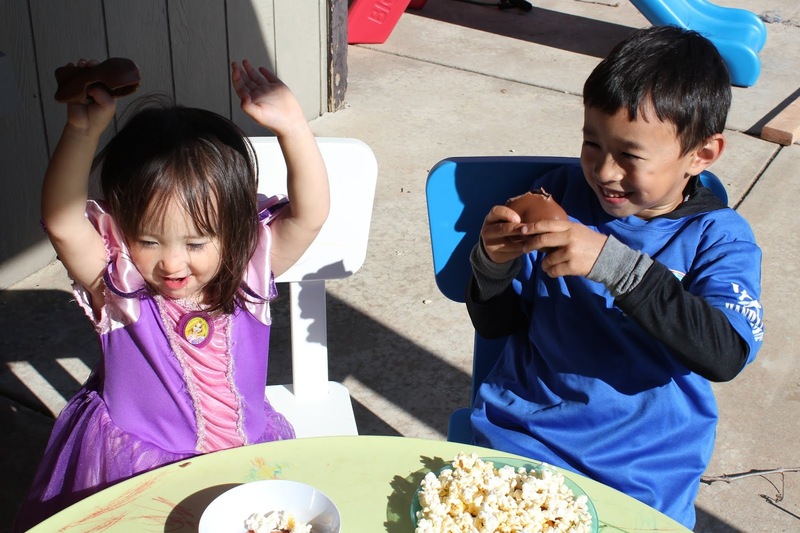 We are doing some gardening this spring! In planters! Moving-friendly lol. It's freezing cold in Southwest Oklahoma here! I can't wait the spring to come. Stores started to sell Easter and gardening items, just the weather is not cooperating well! Since trees and flowers are not blooming yet ( Seriously, all I see is brown grass and naked branches right now. 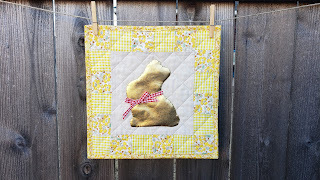 ), I wanted to make something nice that makes me feel good about this coming spring. So I thought that starting off with an Easter quilt would be nice! 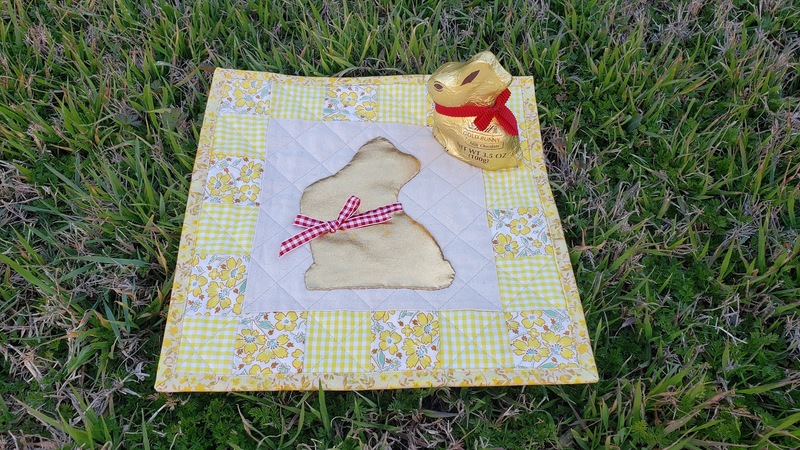 But I didn't want to go with regular Easter motifs. I wanted to make something unique! Growing up as a Christian, the Easter is not only egg hunts and Easter Bunny, but also it's a celebration of Jesus Christ's resurrection. So I thought "Hey, how about we go back to the origin of Easter?" 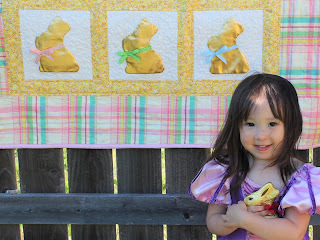 Therefore I designed this paper-piecing quilt pattern. I can say that I am very happy how it came out! 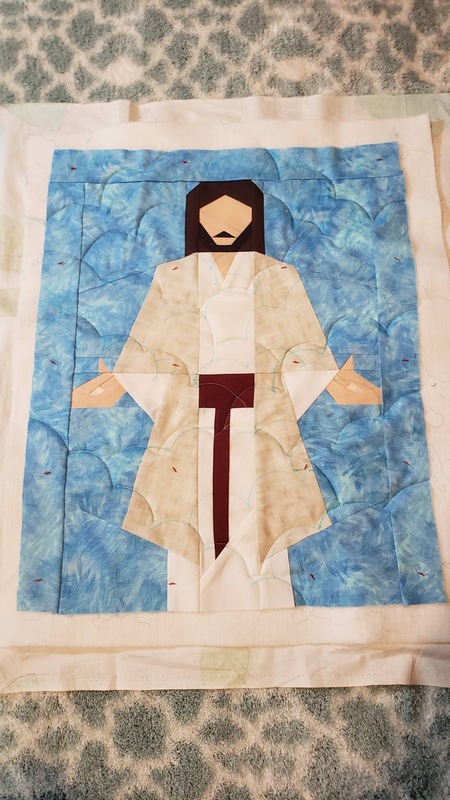 It took extra time and caution to design Christ quilt block. 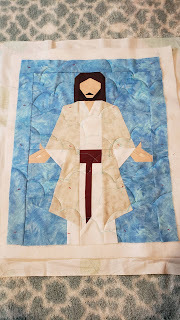 I wanted the pattern to be simple as possible, so the other quilters will enjoy making this block, but also I didn't want to Christ looks too "comically" or "cheesy". 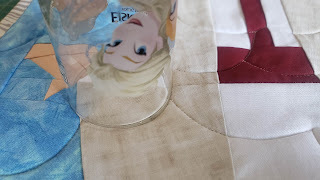 I also want to quilt it in simple look. ..Can you see how I'm bad to follow the "right path"? 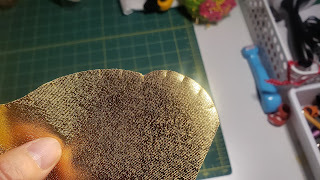 I'm glad the ink is water soluble! I left the cloud out of Christ's face, instead of I quilted stitch n' ditch around his head part of shoulders. 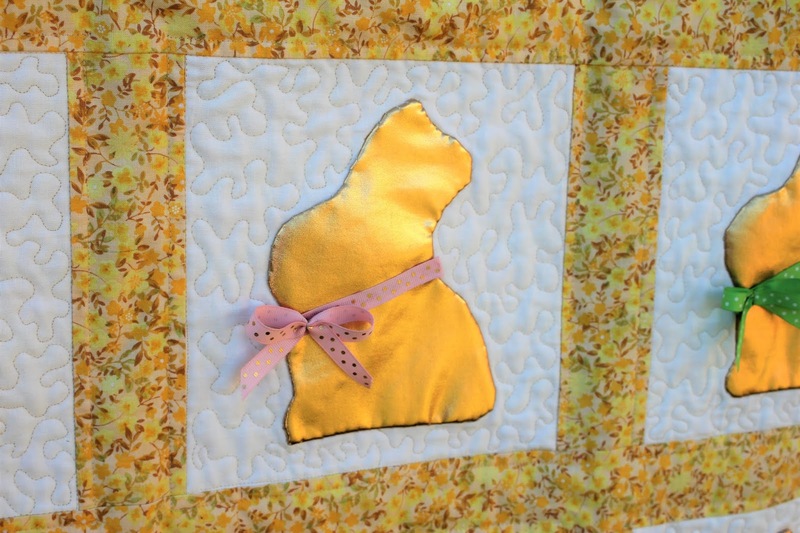 This quilt is about Christ's resurrection, I needed to put "the print of the nail" on the design. Guys, my heart was heavy when I was working on his nail marks. I can't imagine how much pain he had to suffer for our sins. But at the same time, I found how much grateful I am for what he done for us. 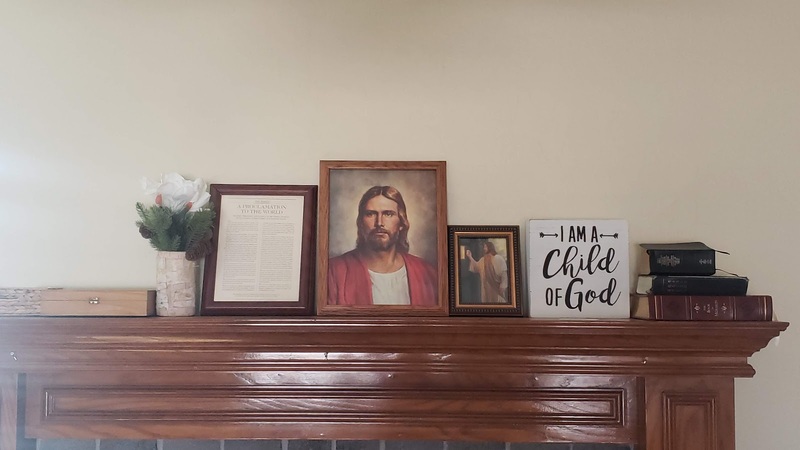 In our home, we have pictures of Christ, to remember him and remind who we are, everyday. We go church every Sunday as a family to take sacrament, also teach, learn and serve each other. I am grateful for living as a Christen. I am so bless to know Jesus Christ's Gospel and the purpose in life on this earth. I love finding eternal joy and happiness though his teaching. I am grateful that we can overcome our weakness or challenges throw his atonement and blessing. 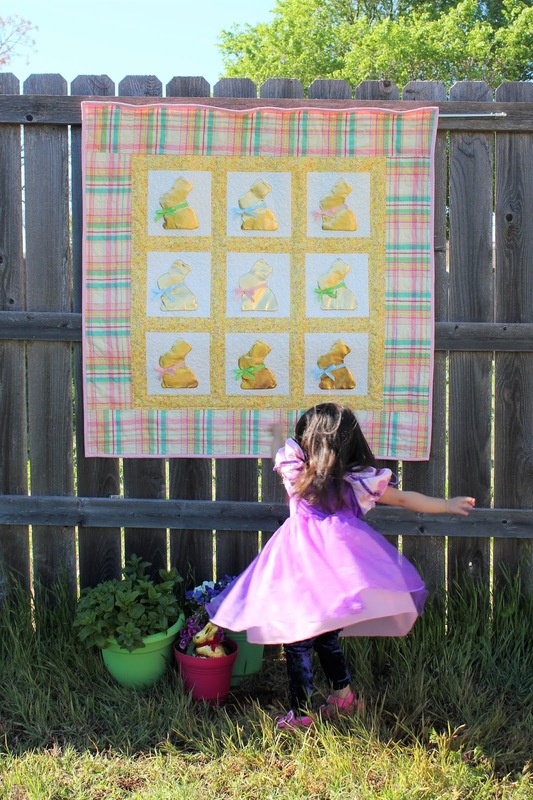 Hope you will enjoy your spring quilting with hope, joy, and peace! 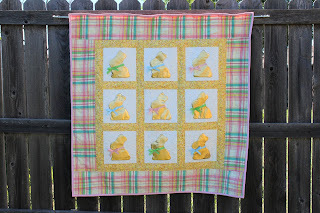 Visit My Quilt Friend's Shop!